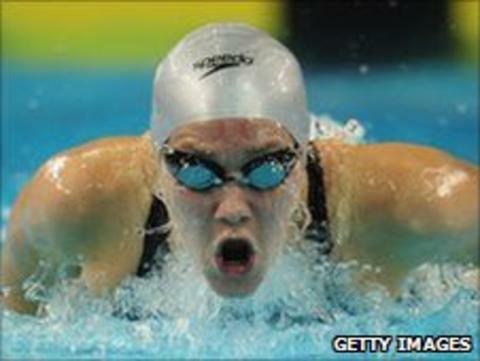 Jemma Lowe, Thomas Haffield and Tom Allen lead Wales' Celtic Tri-Nations team in Swansea from 27-29 May, 2011. However, Lowe's 200m butterfly efforts will not count as Great Britain squad members' efforts are discounted if they compete in a specialist event. Haffield (200m butterfly) and Allen (1500m freestyle) are avoid their preferred races against Scotland and Ireland. Allen excels in open water competition and Haffield in the individual medley. Wales: Tom Allen, Charlotte Bryan, Joe Canlon Shaw, Bethan Davie, Fern Davies, Thomas Godfrey, Tilly Gray, Alex Gregory, Thomas Haffield, Sian Harkin, Emilie James, Matt Jayne, Ellena Jones,, Ieuan Lloyd, Sara Lougher, Jemma Lowe, Hannah McCarthy, Sian Morgan, Rory Pardoe, Lewis Smith, Liz Smith, Danielle Stirrat, Oliver Tennant, Alys Thomas, Hywelis Thomas-Howells, Siwan Thomas-Howells, Chloe Tutton, Dan Woods.